When talking about movies, we have all heard the expression “suspension of reality” and, quite frankly, that is often true. 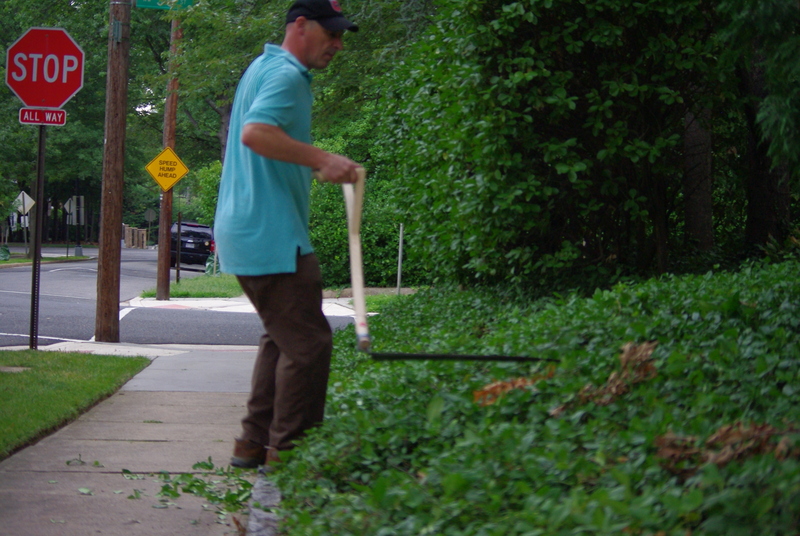 Scything in the city has a little bit of that too. 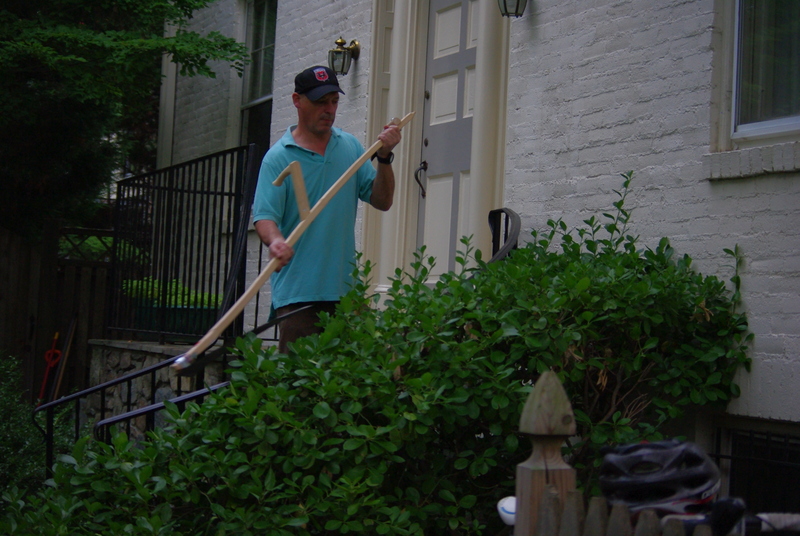 Since scything is unusual activity off the farm, most people just will not make the connection. Others will not see the need or think that there are easier and more modern methods of taking care of the lawn or grass. More than one passerby will make a funny expression, thinking that you are going backwards or are nuts. Probably you will get a warning from the police if they see you waving a large blade around, even if your intentions are the most natural and healthy. However, if you have the proper scythe, snath and ability, the result will speak for itself. 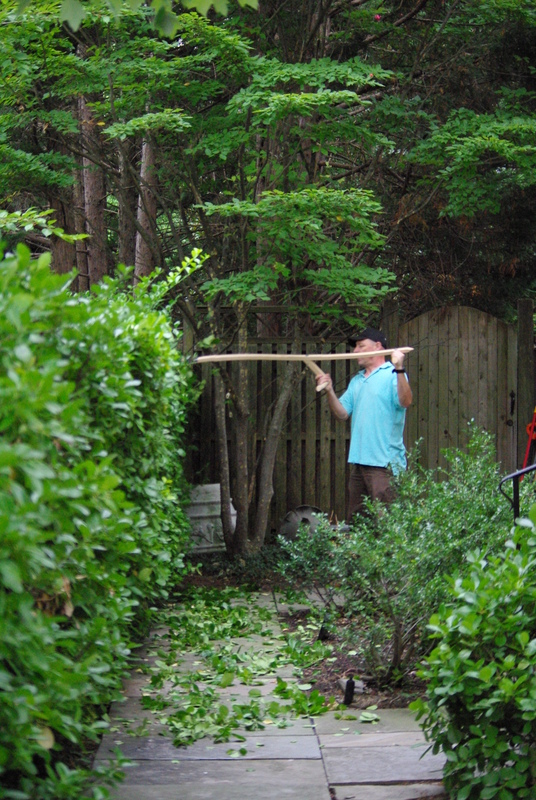 And once you have a properly trimmed hedge, people will think you were not that wrong and will see you as “normal” again. No one in the city has acres of land. 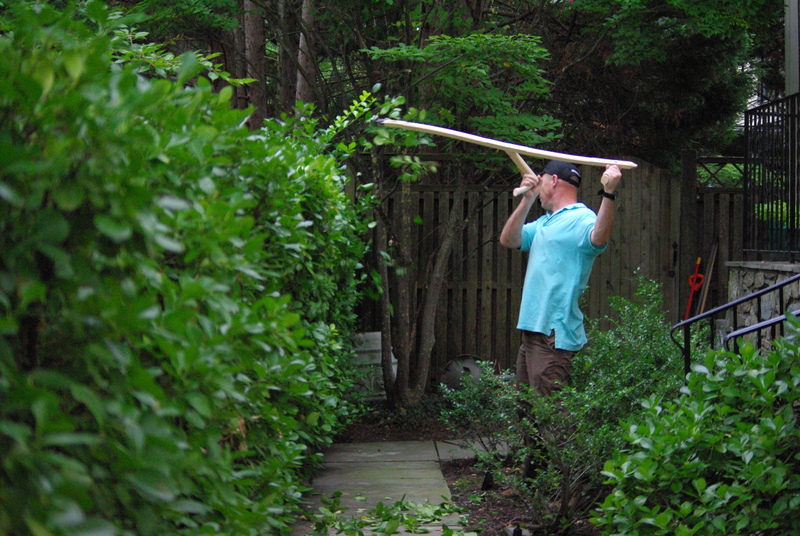 But all you need is a small (even tiny) little garden or a simple hedge dividing your property from your neighbor’s to put the scythe to good use. 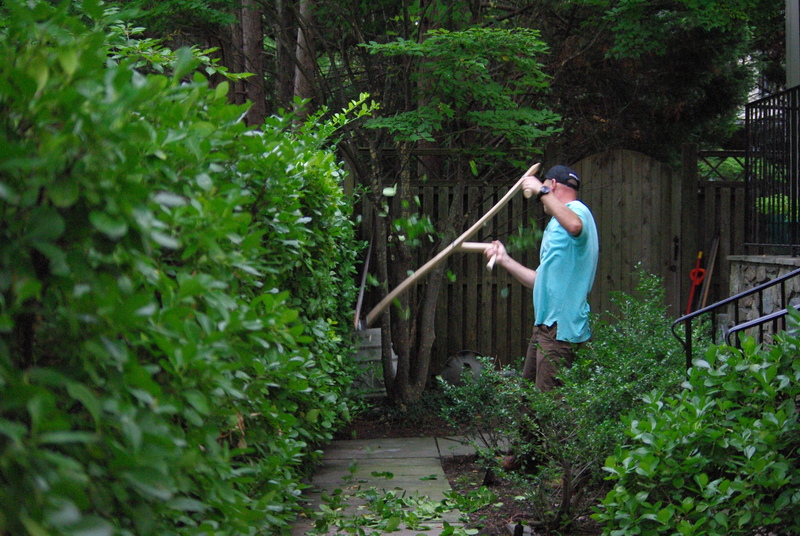 Almost every plant, hedge or bush that we see in gardens can be easily shaped and trimmed with a scythe. 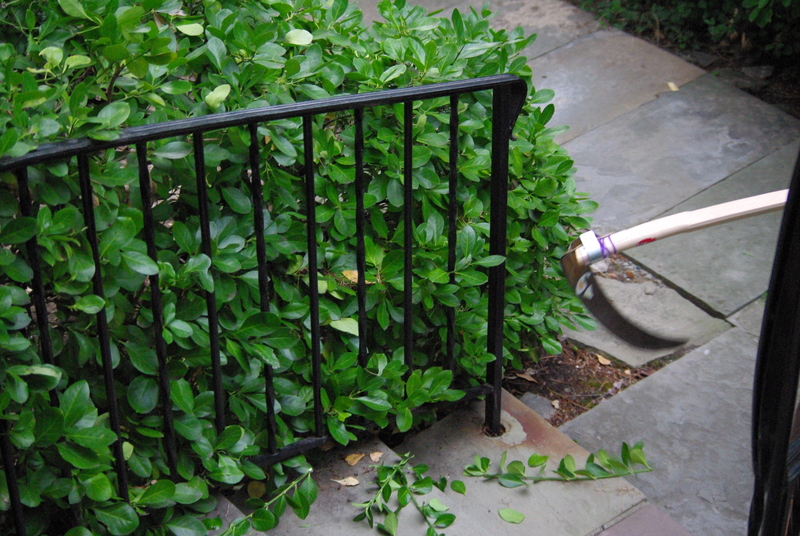 Negotiating between trees, bushes, steps and plant boxes can be very relaxing and enjoyable. Although we might think that a blade has to be very sharp at all times when in use, ironically in this situation, it does not need to be very thin to avoid bending the bevel or cracking. We should always cut those saplings and twigs in the direction they grow, that way their own resistance (from the roots) will avoid bending and flexibility at the moment of impact of the blade. 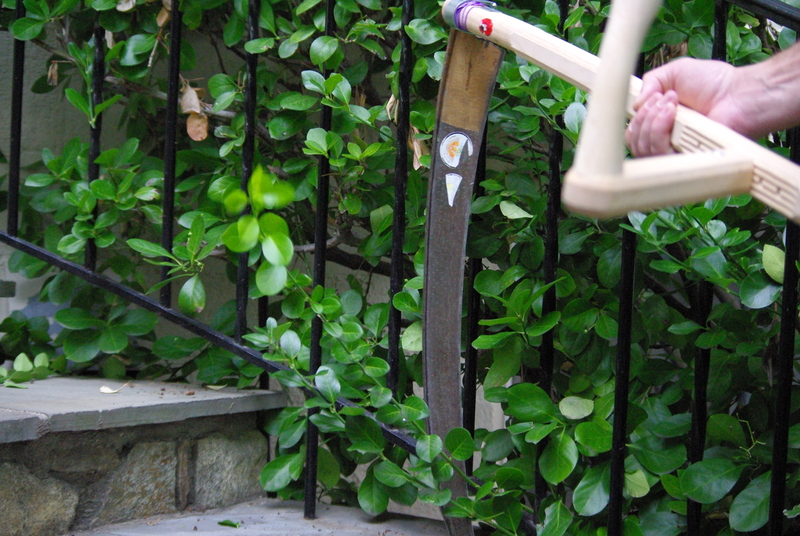 You will be amazed to see how much you can do in a small yard with a scythe just as you are with a field of golden hay. 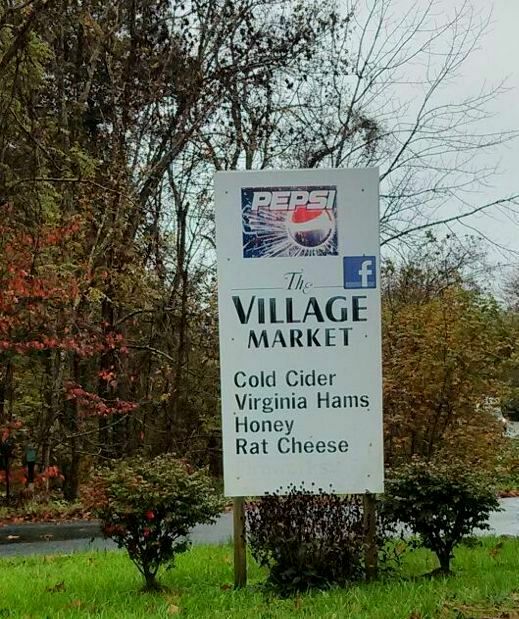 From the menu, I choose the Rat Cheese…. 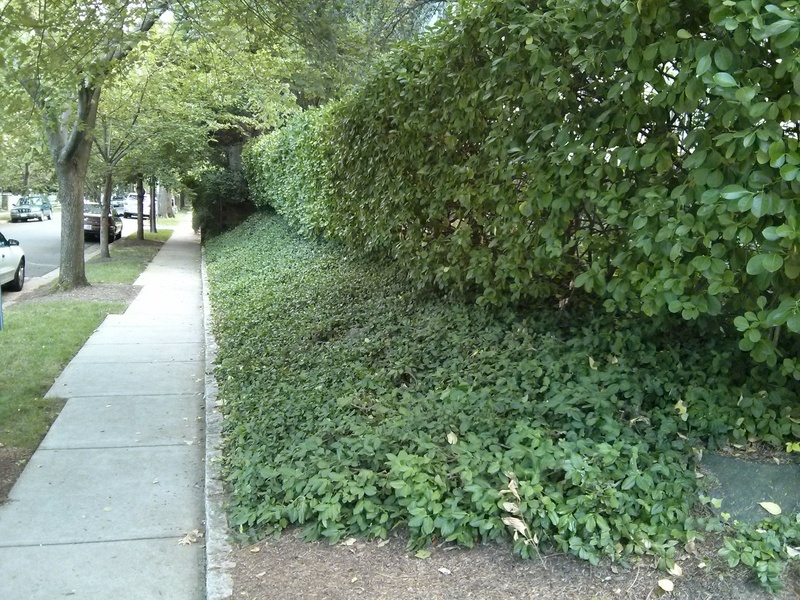 This entry was posted in Uncategorized and tagged city gardens, hedge trimming, lawn care by scytheman1. Bookmark the permalink. Thank you Steve. You are right. 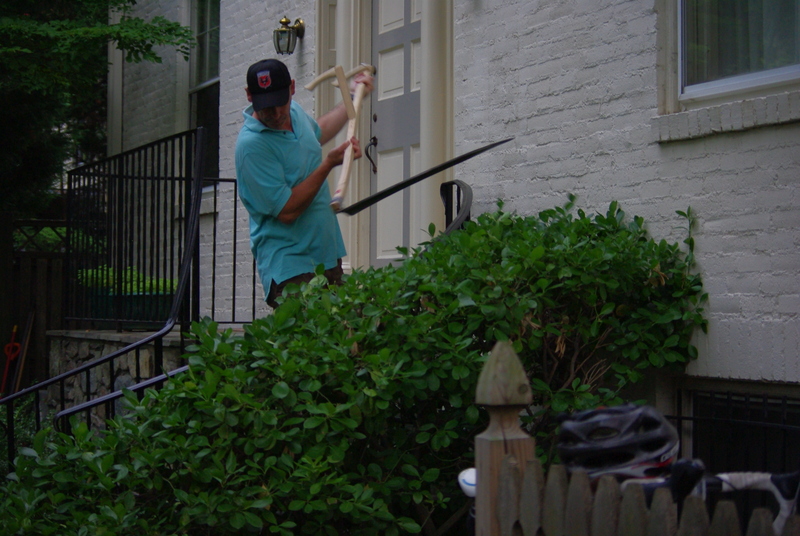 There is so much pleasure in negotiating through narrow places and doing other maneuvers with a scythe. 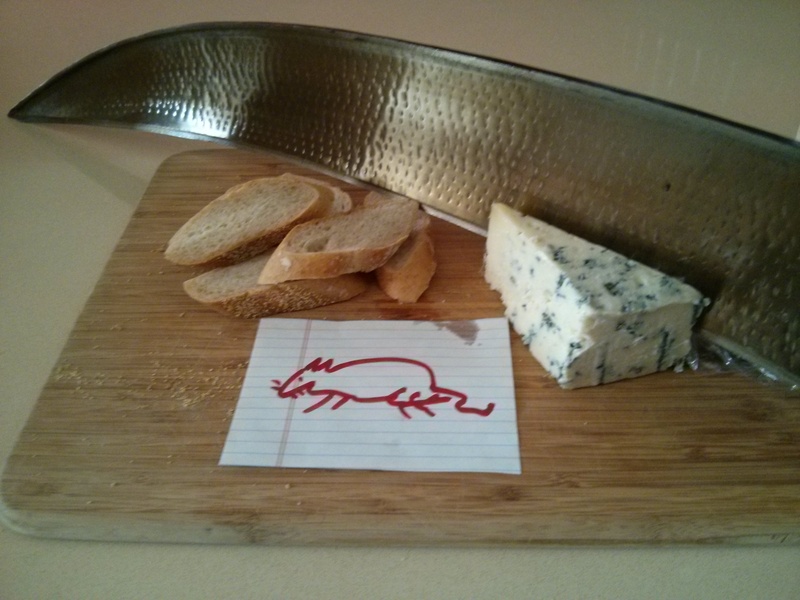 Personally I like use it vertically in both directions.